Cancer clusters and toxic algae blooms have caught her attention. 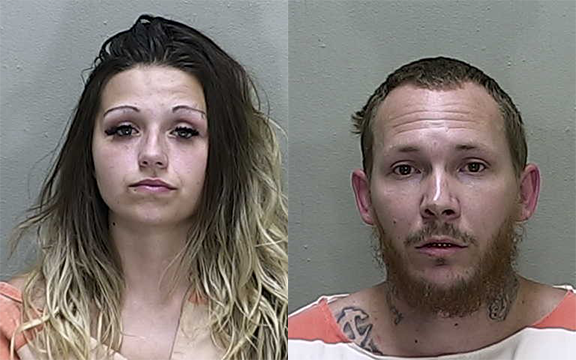 William Parrish Jr. and McKenzee Dobbs were arrested Aug. 23 when police raided their Ocala, Florida, mobile home. They’re accused of selling drugs out of their mobile home’s kitchen window. American Airlines Flight 862 departed from Philadelphia International, and landed safely at RSW shortly before 2 p.m. Thursday. The entire slate of Democratic candidates for statewide office crammed into a crowded union hall in Orlando where they promised to flip Florida blue. Democratic candidate for governor, Andrew Gillum speaking to Democrat voters in Orlando. NASA’s ICON mission, now targeting an Oct. 6 launch, was originally expected to fly from Kwajalein Atoll aboard Northrop Grumman’s Pegasus XL rocket. Brevard beaches are seeing an influx of blue button Jellyfish scattered along the shoreline just in time for the busy Labor Day weekend. 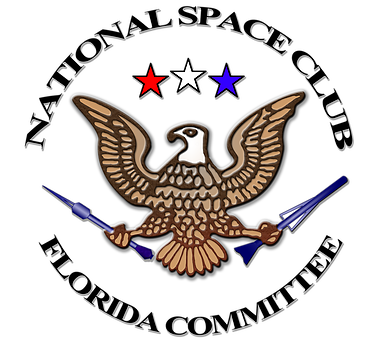 A Boeing International Space Station manager will headline this month’s National Space Club Florida Committee luncheon in Cape Canaveral. After months of work in New Orleans, the core of NASA’s Orion spacecraft slated to take astronauts around the moon arrived at Kennedy Space Center. 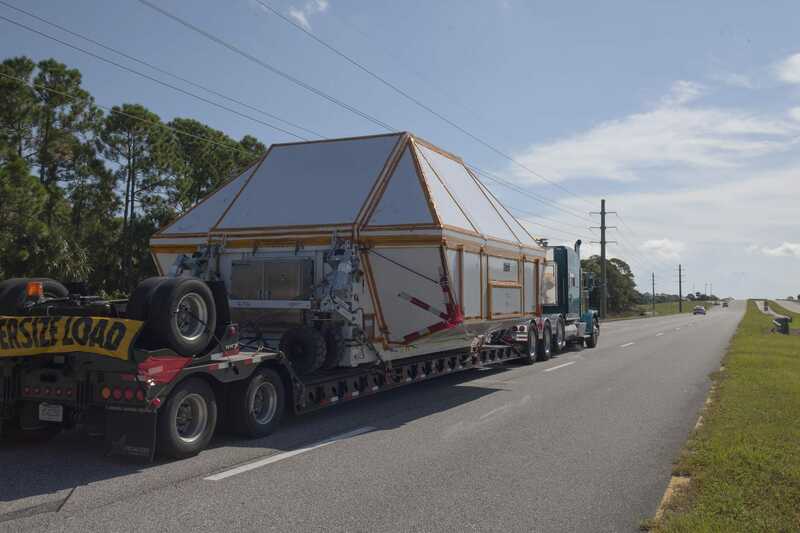 The pressure vessel, or core, of NASA’s Orion spacecraft for a crewed mission to slingshot around the moon has arrived at Kennedy Space Center. McNees was named a finalist two weeks ago by the Naples City Council, which chose him from a pool of more than 80 applicants. The first in a series of next-gen Air Force GPS satellites has arrived on the Space Coast ahead of a December liftoff on a SpaceX Falcon 9 rocket. Leon Malmed and Rachel Epstein say recent immigrant family separations brought back memories of their own loss of parents in Nazi-occupied France. Now that Andrew Gillum is the Democratic nominee for governor, coverage of the FBI corruption probe in Tallahassee has blown open nationwide. Palm Bay Police were called to a crash involving a vehicle and a pedestrian identified as a 12-year-old Friday morning at the Eldron Blvd. and Godfrey Rd. SE. The robocalls are narrated by someone pretending to be Gillum and using an exaggerated minstrel dialect with jungle noises in the background.